Jirka Väätäinen's Interpretation of Jane Porter in "Real Life". "This is a continuation of my awali attempts to envision Disney characters in 'real life.'". HD Wallpaper and background images in the Jane Porter club tagged: jane porter tarzan photo manipulation fan art real life. 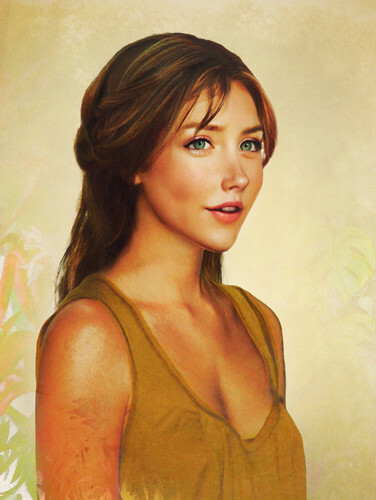 This Jane Porter fan art contains picha, headshot, and closeup. There might also be kuvutia, rufaa, hotness, mvuto, chemise, shimmy, kuhama, kuingizwa, teddy, shift, and bustier. that is cool. she, Tiana and Rapunzel by far have the most accurate ones.